Hosts Jess and Phil are both theatre creators, performers and introverts. This podcast was born of their desire to figure out how to deal with those tricky interactions that introverts have to deal with daily, like parties, networking, and small talk. 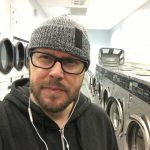 Phil Rickaby is an actor and playwright, and a founding a member of Keystone Theatre, a Toronto company that creates plays inspired by silent film. Phil is also the host of the Canadian theatre podcast, Stageworthy. 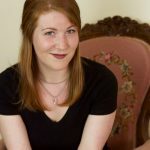 Originating from Niagara, Jess McAuley is a Brock University graduate (theatre studies, honours) with a passion for devised theatre, writing, and pushing the bounds of adventure on stage.